What? • Who? • Why? • How? — The 2019-2020 Applications will be available July 1, 2019. 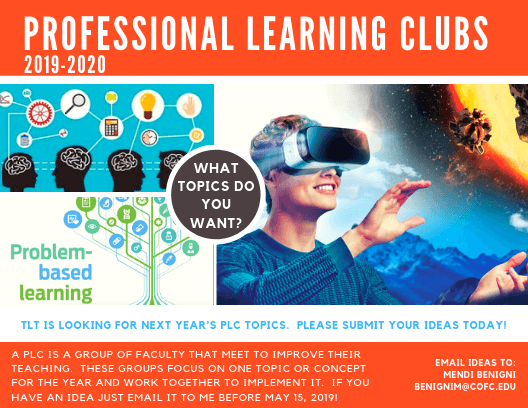 The next round of PLCs take place during the 2019-2020 academic year. Sign-ups will begin in July and the clubs will meet for the first time in late August and then every two weeks after that, throughout the entire academic year. 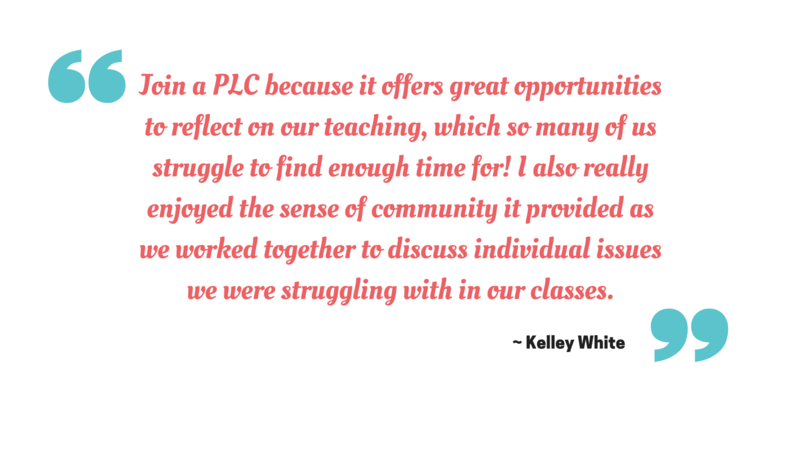 A Professional Learning Club is a group of faculty that meets to collaboratively reflect on and improve their teaching practices. It involves examining the relationship between teaching practices and student outcomes and then evaluating those practices using the students’ work. These learning clubs will consist of 4-8 faculty who will take the year to explore, implement, and reflect on specific, empirically-grounded instructional strategies. be able to commit to a year-long process. teach minimum of one course per semester for that academic year (Fall and Spring). not be on sabbatical for either semester. be open to critical reflection. The Scholarship of Teaching and Learning encourages us to ask questions about how students learn and how we can help them learn more effectively. It’s not often that faculty have the opportunity to share their teaching successes and struggles with one another. 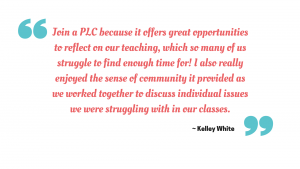 Professional Learning Clubs provide faculty with the much-needed space to reflect on their teaching and collaborate on strategies to enhance student learning. 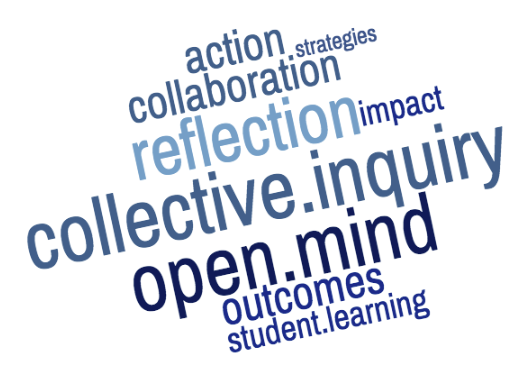 Also, while pedagogy may not be your primary research focus, the Professional Learning Clubs will give participants the opportunity to collect and analyze data that could be presented at a variety of academic conferences or even published. Scholarly opportunities abound as our extensive list of Journals and Conferences on the Scholarship of Teaching demonstrates. Still not convinced? Consider the perspective of Associate Professor of Philosophy, John Draeger: “Why Bother with the Scholarship of Teaching and Learning” page 12. The PLC applications will open July 1, 2019 and will be located on this page. If you have an idea for next year please email benignim@cofc.edu and let us know!